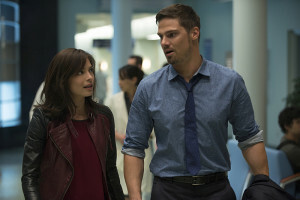 Our apologies for so much Beauty and the Beast coverage in just one day, but the third season of The CW series is here in a little over two weeks, and we promised “Beasties” that this interview would be up today, so here we go. 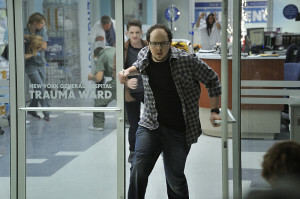 As fans of the CW action-romance already know, Austin Basis, who plays J.T. Forbes, is one of the show’s premier ambassadors, tweeting with fans and pushing the show as they all anticipate the show’s return. Last week, we caught up with Mr. Basis at the CBS Television Studios Summer Soiree, and tried to get some intel on what’s coming up in Season 3. KSITETV’s CRAIG BYRNE: How excited are you to be back with new episodes of the show in the summer? AUSTIN BASIS: I’m excited, because I feel like it’ll give us an opportunity to find more of the audience, the real audience that’s out there. A lot of times, I feel like the ratings, with the system and the competition, it’s hard to find people that are going to watch live. We have fans that watch two or three times, and then watch it on all different platforms. I think that’s good, and that’s in a way the future of TV watching: They’re going to watch it. They’re going to download it on iTunes. They’re going to watch it on The CW site. They’re going to watch it live. They’re going to DVR it and watch it again… that’s four times already! And then they’re going to buy the DVD! Is Season 2 on DVD already? Season 2 is on DVD! It came out May 19, if I’m not mistaken. For the people who have forgotten in the past year, where did the show leave off, and how does Season 3 start up? The show followed the arc of Gabe (Sendhil Ramamurthy), basically, going from bad to good to bad again, and this time, it was to in a fit of rage, to take revenge against Cat and Vincent. Gabe saw his end, Vincent and Catherine saw the resolution of that time when other people could invade romantically – whether it was Gabe, whether it was [the redheads that shall not be mentioned] – so, I think they’ve passed that point in their relationship. That was resolved in Season 2. They’re set to take the next step in their relationship, which is just understanding what that relationship is in the domestic sense, living together, moving in together, and possibly moving on to closer and more intimate things in their future, while at the same time, wondering if there’s anything out there that would threaten that. Not necessarily romantically, but threaten their lives in a real risk sense, and then with J.T. and Tess, obviously, J.T. almost died, and he was saved, so J.T.’s arc for the next season is what saved him, how he was saved, why he was saved, and what the consequences of his recovery would be in the future, because if you don’t know the source, you don’t know the end. That’s a tough arc for J.T., and how it affects his relationship with Tess is definitely positive and adverse at some points. Is it easier to talk about the season, since you’ve already filmed the whole thing, and knowing that you have another one coming up? Yes. It is, and it’s easier to talk in the sense of that sometimes you don’t know what’s coming up with the characters when you’re just filming the first five or six episodes, and you’re talking about the future of the season. You always hear from the writers what the potential would be for the characters, and then when you finally get the scripts, whatever they thought it was going to be, it gets approved and trickles down into what it actually is, and it’s usually not the same thing. So, that’s always tough, but it’s good to know the arc so that you could pick out and tell the broader strokes of what the entire story is without giving too many spoilers away, because there are a lot of spoilers. What do you think the fans will be the most excited about with Season 3? The romance. 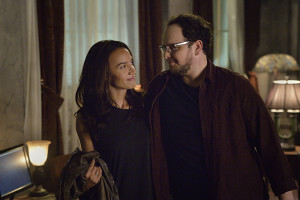 The romantic connection between Vincent and Catherine is reinstated and set up for the arc of the season. Everything that they do in their lives – whether it’s fighting against these unknown forces that are going to come up – it is towards making their connection, and their home, and their relationship more solid and more safe and secure. Obviously, there’s whimsical stuff, there’s really romantic stuff, and it’ll be ups and downs and a roller coaster ride, as usual, but I think the goal is to bring them together for good, and in a very romantic way. Is the Beasting out going to look different this year? I think the Beasting out always evolves. At this point, we’ll pick up a couple of months later, and because Vincent has gone back to the hospital and he’s re-earned his doctor credentials, he’s going back and he’s working in the ER, he is trying to avoid all that stuff. He’s almost in denial, and not using any of the Beast stuff. He knows that he can go back and listen to someone’s heartbeat without a stethoscope. He wants to live like a normal person, even though he has the beast sense. He wants not to ignore it, but not use it as a crutch or as a dependency… to do things as a human. To a degree, he hasn’t really exercised that muscle, so he’s still scared that he can push it too far. After twelve years, it becomes a muscle that he got a grasp of to control, where he won’t cross the line. 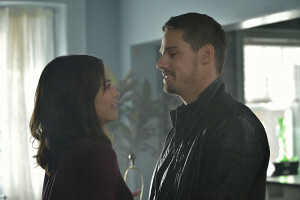 Beauty and the Beast Season 3 premieres Thursday, June 11 on The CW. See some photos from the first two episodes of the new season here!